Watch the indefatigable W.M. Hunt, a renown collector and dealer, in action. 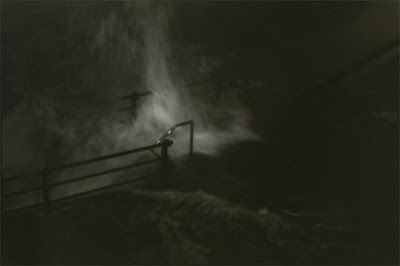 The first video is a montage of clips from a public lecture about The Unseen Eye: Photographs from the Unconscious, the first major US exhibition of his collection that ran from 1 October 2011 to 19 February 2012 at George Eastman House, from which Aperture and Thames & Hudson simultaneously published a book. The video posted below the fold is from Artlog, wherein he talks about his visceral approach to collecting, acquiring an eye for good work, and his advice for aspiring collectors. Featured in the current issue of 1000 Words, the photographs of The Unseen Eye have a common theme - the gaze of the subject is averted, the face obscured, or the eyes firmly closed. The images evoke a wide range of emotions and are characterised, by what, at first glance, the subject conceals rather than what the camera reveals. W.M. Hunt was a founding partner of the prominent photography gallery HASTED HUNT in Chelsea, Manhatten and served as director of photography at Ricco/Maresca Gallery. He and his collecting have been featured in The New York Times and The Art Newspaper as well as on PBS. He is a professor at the School of Visual Arts and on the Board of Directors of the W.Eugene Smith Memorial Fund and The Center for Photography at Woodstock, N.Y., where he was the recipient of their Vision Award in 2009. He also served on the Board of Directors of AIPAD (Association of International Photography Art Dealers) and as chairman of Photographers + Friends United Against AIDS. There are many words one can use to describe W.M. Hunt; funny, captivating, even legendary but his eloquence is his own and his book is my personal favourite so I cannot. It was a good thing she gave painting and drawing! For those in New York this weekend, MoMA is screening A Slide Show and Talk By Diane Arbus. The 40-minute film was compiled by Neil Selkirk, Doon Arbus, and Adam Shott from an original 1970 recording of a slide presentation given one year before the photographer’s death. It has been shown less than a dozen times publicly and offers us the rare opportunity to hear the photographer lecture on her images. Nearly 40 years after publication, Diane Arbus: An Aperture Monograph which features 80 of those images, remains one of our most popular photobooks. Following the screening, novelist and president of PEN American Center, Francine Prose along with Pulitzer prize-winning author of The Hours, Michael Cunningham, and Doon Arbus discuss how the photographer’s “precise use of language” illuminates her pictures. 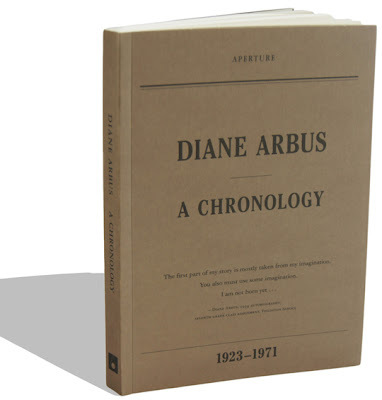 They will also read from the recently released book, Diane Arbus: A Chronology, which was primarily composed of exerpts from her letters, notebooks, writings, and journals. Through her own words, they explore the nature of her observation. 1000 Words recently acquired a copy, and have been drunk on it ever since. Opening tonight at TJ Boulting, is Robin Maddock's God Forgotten Face, an exhibition in conjunction with the book of the same name, published by Trolley, which examines aspects of the everyday life in Plymouth, a port town still bearing the scars of the Blitz. In her press release for the show she goes on to say: “After two years spent living in the town, where he has had family all his life, Maddock achieves a familiar interaction with his subjects, visible through his portraits in night clubs and pubs, and in the witnessing of the various goings on down at the sea front or in the local rec. In the misty early morning a nun stops to call her dog, whilst later a police forecourt is bathed in light and transported to a sunny LA; Maddock’s insight into the city is at once affectionate and optimistic in outlook, but stamped with his own aesthetic and curiosity. In the book Owen Hatherley writes with a similar affection In Praise of Blitzed Cities, citing that the negative and concrete environs that come into most people’s minds when they think of Plymouth are in fact overlooking its “shabby, ad hoc vitality that most heritage cities would die for.” As a town, Plymouth’s past has been one of ongoing economic and cultural isolation since the shrinking of the Navy. Now it reflects more a broader England in decline, whilst all the post-modern ironic contradictions of the evolving new economies are present; ‘Francis Drake’ is a shopping mall, and what was the ‘Royal Sovereign’ pub is now a ‘Firkin Doghouse’. The exhibition runs until 2 June 2012.